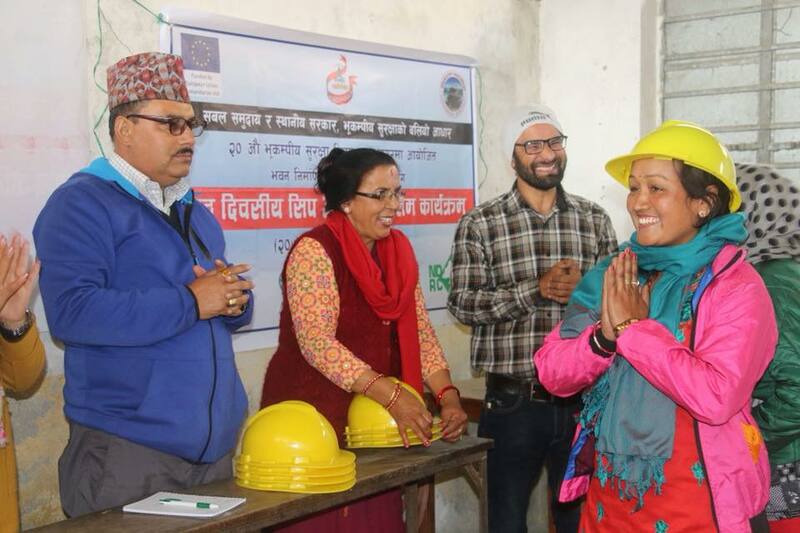 On the occasion of 20th ESD, FSCN in collaboration with Changunarayan Municipality, inaugurated 8 days mason training on earthquake resilience construction technology dated 19th of January 2018. 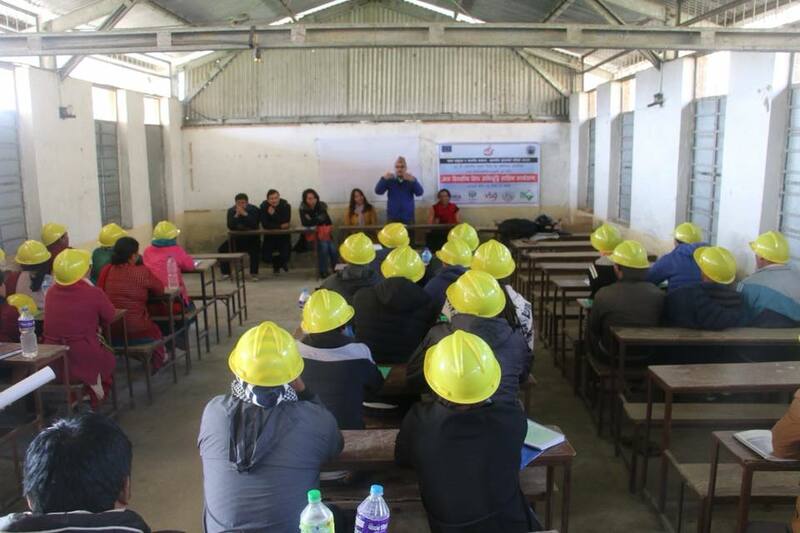 The training will be organized for 8 days to 25 skilled masons of Changunarayan Municipality. It was inaugurated by FSCN Chairman and Deputy Mayor of Changunarayan. They were provided with safety met during inauguration. This training aims to enhance the skill of skilled masons on resilience technology. It is remarkable that PRAGATI project is funded by ECHO and executed by the consortium of DCA, ADRA Nepal and VSO. © Copyrights Friends Service Council Nepal 2016. All rights reserved.